What a beautiful way to bring dairy and yoghurt products to life online! This site for Maison Riviera is a beautifully art-directed, cleverly designed example of how designing for web can start to feel more tactile. Such great work from Montreal-based interactive agency Deux Huit Huit. With loads of smart scrolling effects and beautiful photography, this website is a shining example of how you can bring FMCG products to life in a rich, exciting way for consumers. We love it! Do visit the site here. This entry was posted in Multimedia, Photography and tagged Deux Huit Huit, Maison Riviera, Multimedia Design, photography on April 30, 2018 by stellenboschacademy. Such smart work from Ogilvy Hong Kong! To advertise KFC’s ‘hot and spicy’ range, they used the iconic image of KFC chicken as a stand in for explosions, smoke and other images we understand as ‘hot’. So smart and so good! This entry was posted in Art Direction and tagged Hong Kong, KFC, Ogilvy and Mather on April 27, 2018 by stellenboschacademy. Seung-Gu Kim is a South Korean photographer who turns his lens to South Korean culture – capturing what the people in his country are doing and trying to understand it through photography. This set of images, which captures the people of Seoul on holiday, shows how because of the incredibly long hours that people work, they are forced to visit holiday parks and other attractions close to Seoul in order to make the most of their time. This concentration of people makes for these highly-detailed photographs, which capture modern day South Koreans at leisure – making most of the scant hours left to them after they’ve done their work. To see more of Seung-Gu Kim’s work, please visit his site here. This entry was posted in Photography and tagged Photogaphy, Seung-Gi Kim, South Korea on April 25, 2018 by stellenboschacademy. One of our third year Multimedia students, Lene van Heerden, recently completed this animation for a private brief for Faceboard, an e-learning platform with a cool way of interacting with people through gamification and social learning. You can visit Faceboard’s website here. Such incredible work, well done Lene! This entry was posted in Academy Work, Multimedia and tagged animation, Illustration, Lene van Heerden, Multimedia Design on April 24, 2018 by stellenboschacademy. Our next open day at the Academy is fast approaching! On Saturday 12 May we’ll be holding another open day and if the last one is anything to go by, it’ll be a great morning for all. We’ll be open from 10:00 until 14:00 with talks being held at 10:30 and 12:00. If you’re interested in attending, please do send a mail to Louise here. 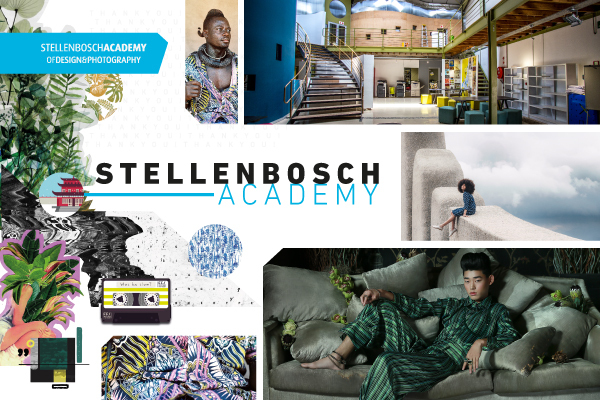 This entry was posted in Academy Work and tagged Design, Open DAy, photography, Stellenbosch Academy on April 23, 2018 by stellenboschacademy. As one of our students, Morgan Mulholland, was recently in London for the Sony World Photography Awards we felt it made a lot of sense to share the overall winner for 2018. Alys Tomlinson is a UK based photographer who has worked in editorial, design and advertising photography but this project, Ex Voto, for which she won the Sony World Photographer of the Year 2018, is a personal project. She shot in large format black and white and focused specifically on the things left behind in pilgrimage sites at Lourdes, Ballyvourney and Grabarka – resulting in a set of images that is entirely undeniable. From perfect portraits through to highly detailed still-lifes of the things people have left behind at these sites, her work is just beautiful. Please do visit here site here to see more of her incredible work. We’ve included more of Ex Voto below. This entry was posted in Photography and tagged Alys Tomlinson, photography, sony world photography awards on April 23, 2018 by stellenboschacademy. Morgan Mulholland, our finalist for the Sony World Photography awards, was in London this week with our head of photography Mark Antonello. Check out the pictures below! This entry was posted in Academy Work and tagged Morgan Mulholland, photography, sony world photography awards on April 21, 2018 by stellenboschacademy.